After revealing on her Twitter page that she is ready to radically change her career, Demi Lovato registered the title of a new track in copyright site for songwriters, BMI (Broadcast Music Incorporated). 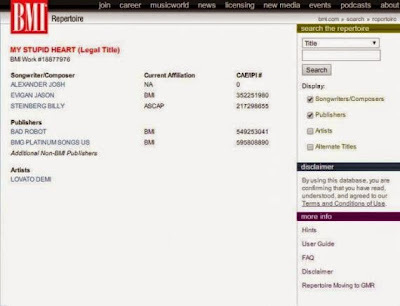 The song is called "My Stupid Heart" and was composed by Jason Evigan (co-author of "Dangerous (Feat. Sam Martin)" by David Guetta), Josh Alexander and Billy Steinberg. There is still no confirmation that the music will be included on her fifth studio album. 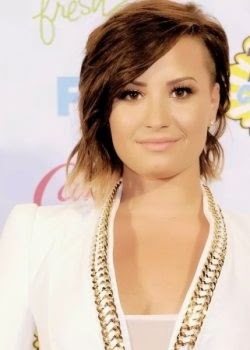 The next release follows the success of "DEMI", 2013, and will mark the end of her contract with Hollywood Records. There are rumors that the singer will be represented by the label Island Records after her partnership with Disney Channel.